Mobile Bingo Bonuses love to bring you premier sites with amazing graphics and entertainment; so we think we have a great one for you called the House of Bingo. This site is available on the normal PC mode but for those of you gamers with a hectic lifestyle you can play mobile bingo on the go with a great choice of 47 games with no download required, basically you can win big anywhere and anytime on your Android, iPhone or Tablet device!! 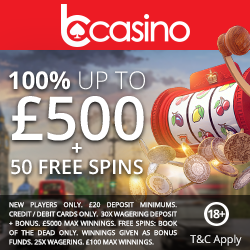 On top of this is their vast choice of 80 and 90 ball bingo and slot games, amazing promotions, jackpots, prizes, plus lots of chat games. That’s why we’re here to tell you why you should be a House of Bingo roomie. 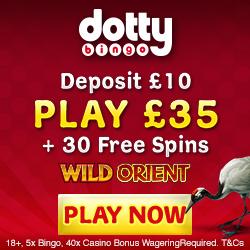 Lots of slot and bingo games available. As with many bingo and slot sites, you will receive a registration bonus when you sign up with the House of Bingo. But unlike many other sites who offer £5, House of Bingo offer an amazing £20 bonus with no deposits required. This is because they want to give you the chance to play around on the site and try out their range of games before you deposit any cash. If you think this is the end of the offers you’re wrong because they offer a cash match bonus on a minimum deposit of £10 for the next 3 deposits totalling a fantastic 900% as a welcome to the House of Bingo; if only all welcomes were this friendly! Even after your first 3 deposits House of Bingo keep the offers coming. Their Reload Bonus is available from the 4th deposit onwards and means that when you make any further deposits you can receive either 400% bonus or up to 125% cash on all reloads. This is their way of saying thank you for being a loyal member of the house, and gives you extra bonus bucks to use to play their amazing games including some of the top slots around including Honey Bees and Rolling in the Dough. On the House of Bingos chat games you’ll have the chance to meet lots of new friends, but why not tell your friends about the site so they can join in the fun and offers? If you refer any friends or family to the site you could earn yourself some bonuses too. You will receive a bonus equivalent to 100% of your friends 1st deposit and it doesn’t finish there, you also get an amazing 10% of any other deposit they make in the first 60 days. You’ll have realised by now that loyalty is a big thing for House of Bingo and as such won’t be surprised to hear that they have a loyalty scheme based on points. You join when you register and it’s as simple as the more you play the more you earn. You can trade up to an amazing 2,000 points each week!! So are you ready to be a House of Bingo roomie? If so we’ll see you there, all you have to do is head over and register.